Happy Holidays to astronomers everywhere! I did get a new APO refractor from Santa this year! Upgraded from my trusty old Orion ED80, which I will continue to use as a solar imaging platform. The new William Optics GT102 triplet I picked up in an AStroMart auction brand new for a significant discount. This will serve as the scope for video astrononomy, visual observing and maybe a few images with my dslr. The scope was actually reviewed in Nov Astronomy magazine. Didn’t know it was a brand new model! Hopefully will get it set up in the next few days! 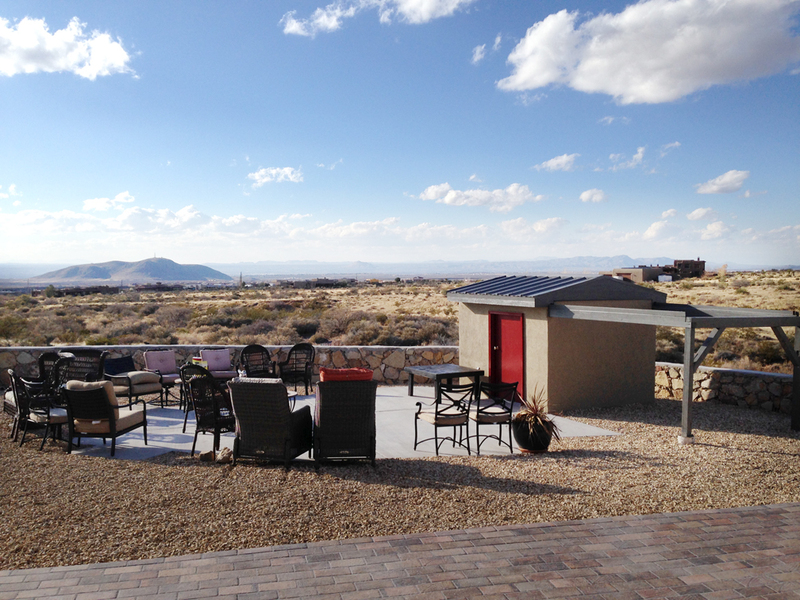 The Space Hut is now fully “Southwesternized” and we have our outdoor space theater area for neighborhood star parties. We had out Winter Solstice party a week early due to the busy time of year and a lot of people traveling etc for the holidays. I have a Mallincam video camera with an HDMI converter conected to a 40 inch monitor that is set on the table right outside the door of the observatory. 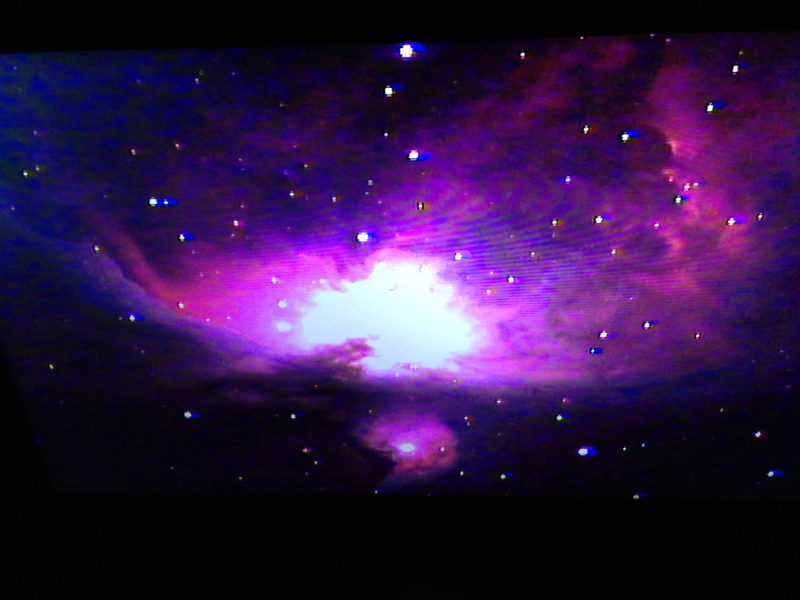 Below is a screen shot of the great Orion Nebula. Not quite as impressive as the actual live video but you get the idea! 28 sec capture, live video output of M42 (Orion Nebula). Video astronomy has certainly advanced quite a bit in the last 10 years!